I wanna go snuggle my kitties now .-. D'aaaw, so cutte~ I wanna go snuggle my kitties now .-. 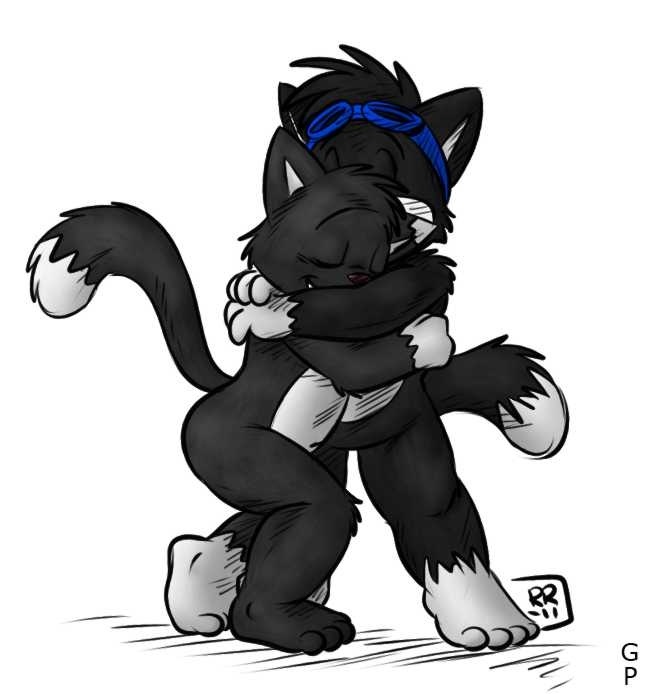 hey i wanta nice hug like this too,but most don't like us skunks much even though I shower every day. Awww. Thank you so much. "Blushes" your so kind.Now I'm showing off my new ball cap,I love them and hope to get different ones soon. Think I'll get Roarey to do another pic with someone giving Travis a hug,he could use one too. "GIGGLES" BLUSHES"